The Irish dipper, Cinclus cinclus hibernicus, is a unique sub-species and an important element of Ireland’s biodiversity. 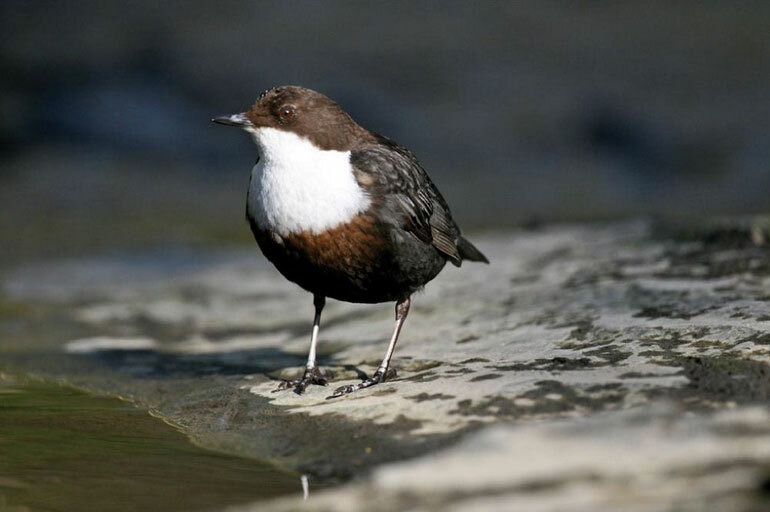 Dippers are black, white and brown in colour and a little smaller and more rotund than the blackbird you will see in your garden. They have a characteristic white bib and ‘bob’ or ‘dip’ up and down. 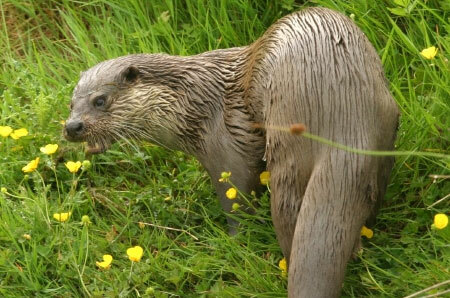 They survive exclusively on food extracted from the river. 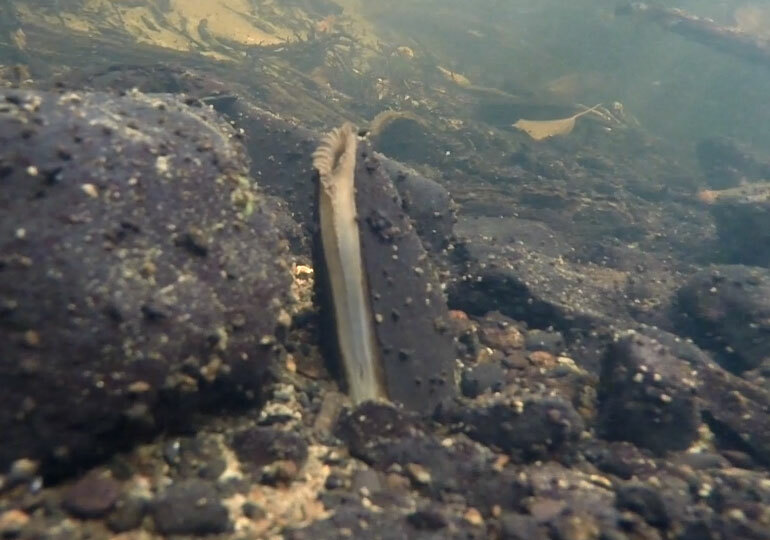 They upturn stones, swim underwater and walk on the river bed to collect insect larvae which live there. They feed mostly on the larvae of mayflies and stoneflies. 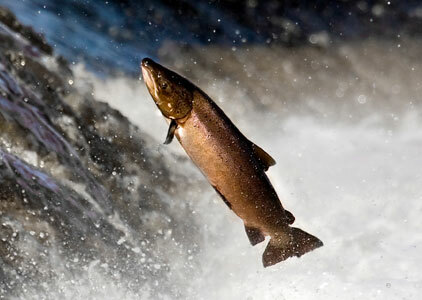 In European populations, they occasionally take fish, although fish has been never reported in their diet in Ireland. 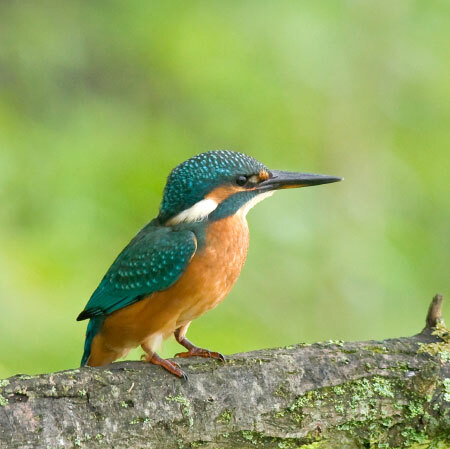 The male and female birds are alike in colour, but the male is slightly larger, weighing in at about 80-90g, compared to the female at 60-65g. They hold linear breeding territories on the river and are one of the earliest Irish breeding birds, with some nests started in February.